The Panasonic GH4 is a new generation mirrorless camera, capable of incredibly high quality images in a small, lightweight unit. 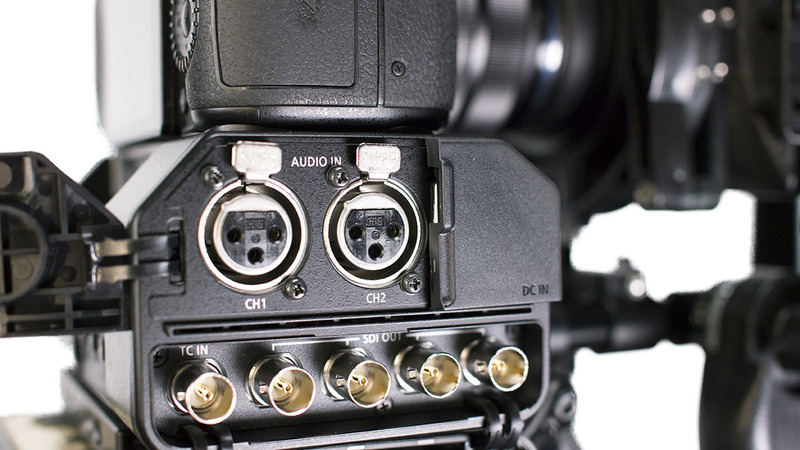 Shooting in the .mov format, the GH4 can shoot 1080p 25 at an astonishing 200mbs or up to 96fps at 100mbs. 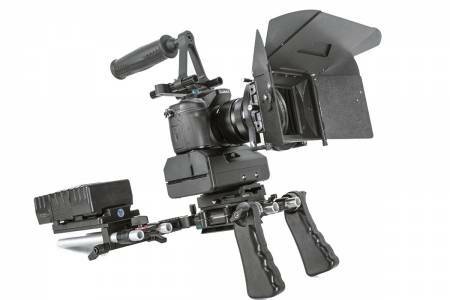 It also has 4K capability. 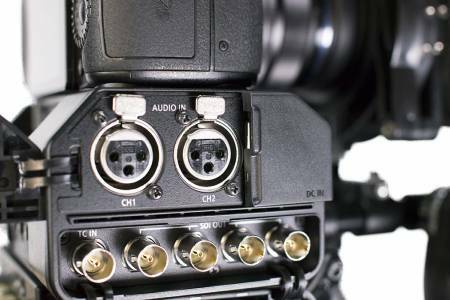 The Production Kit is designed as a documentary/ENG unit and has the YAGHPP interface, which offers professional audio inputs and HD-SDI video outputs. The whole system is powered by V-lock batteries, which double as a shoulder mount and counterweight, making it very ergonomic as a hand-held camera. 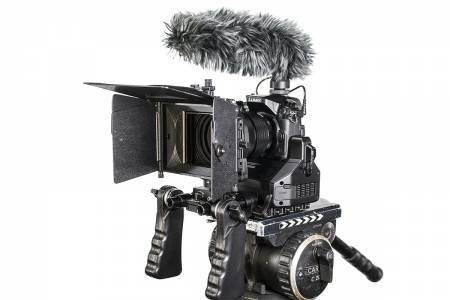 The kit also comes with a Sigma 18-35 f1.8 lens with the Metabones Speed Booster ULTRA 0.71x, which converts the lens to a 12.5mm (FF equiv. 25mm) f1.2, and 3 x 3 mattebox with ND and pola filters.